|advocate|s + — They tried to bury us.. Some people run triathlons. Others compose symphonies, design skyscrapers or become masters in karate. Michael enjoys words & the power they possess. A Young Hispanic, Spoken Word Artist from Chicago who followed JESUS to Thailand and Burma to work with the street kids of South East Asia. Many years ago Michael dreamed of renovating an old fire house in Bucktown, Chicago into a creative space for inner city youth. 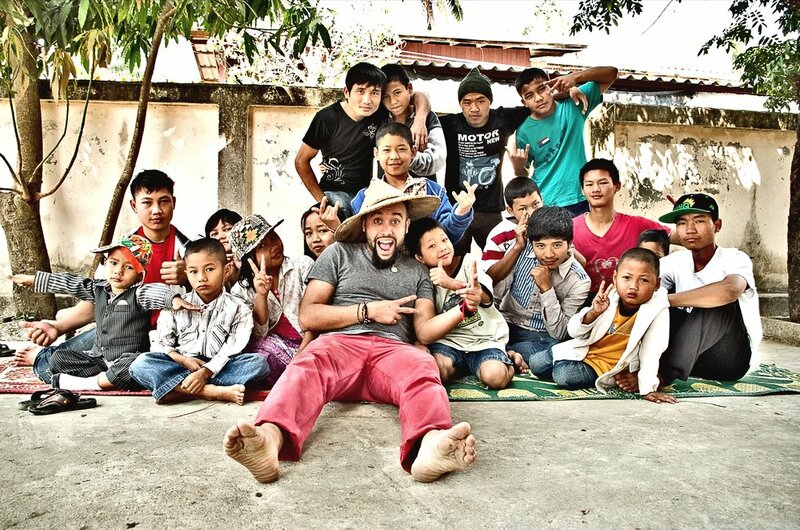 Little did he know that the dream was for a different youth in a different "inner-city" in the small town of Mae Sot, Thailand just minutes away from the war torn country of Burma. In 1997, Michael went on to study computer engineering for 2 years at the University of Illinois in Chicago and finishing his degree in Business in NYC, but Michael knew there was more to discover. After some soul searching, Michael was re-awakened to his dream. His journey into the world began while experiencing countries like Turkey, Honduras and soon after a year long backpacking trip through South East Asia, Africa and Eastern Europe. Michael found what he was in search of and its been growing him ever since. He can't be buried..he's a SEED! My focus in Thailand and Burma is to mentor, encourage, and show the children of Thailand and Burma that they have a purpose, that they are special, and that they have a SAVIOR and ABBA-FATHER who loves them very much. I’d like to introduce them personally to the GOD of my youth and share time, love, and energy with them. My passion is to see them receive education and to be given an opportunity to not only succeed in their adult lives but also to thrive. God is calling all of us to live a life of adventure. For Paris, this journey has led him around the world pulling him closer to the hearts of the broken, the causes that drive him, and the Spirit that ignites him. After graduating from college with a degree in business and a toolbox full of what would seem like unrelated skills and passions, he set out on an 11-month mission trip called the Worldrace. During this time, God worked in and through him in miraculous ways, and the vision and calling for his life began to take shape. After returning to the states, God’s direction pointed to Thailand and the people that touched his heart – Outpour Movement. Paris’ focus will be on ministering to the youth of Mae Sot through the ministry called Seeds, leading people into the presence of God through worship, and forwarding the vision of the organization.